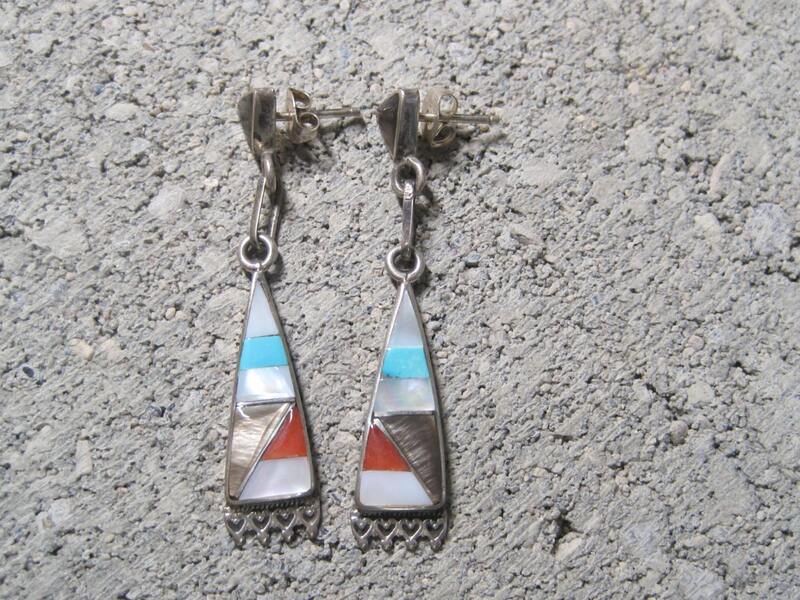 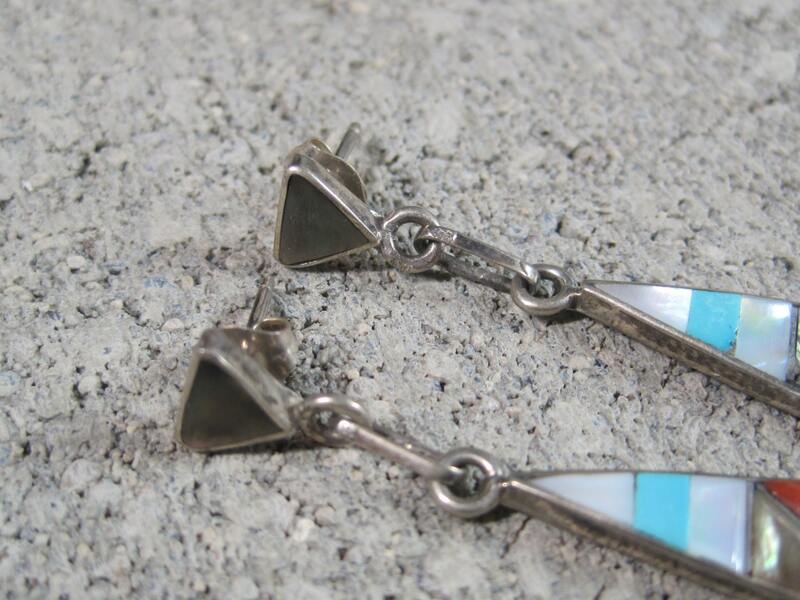 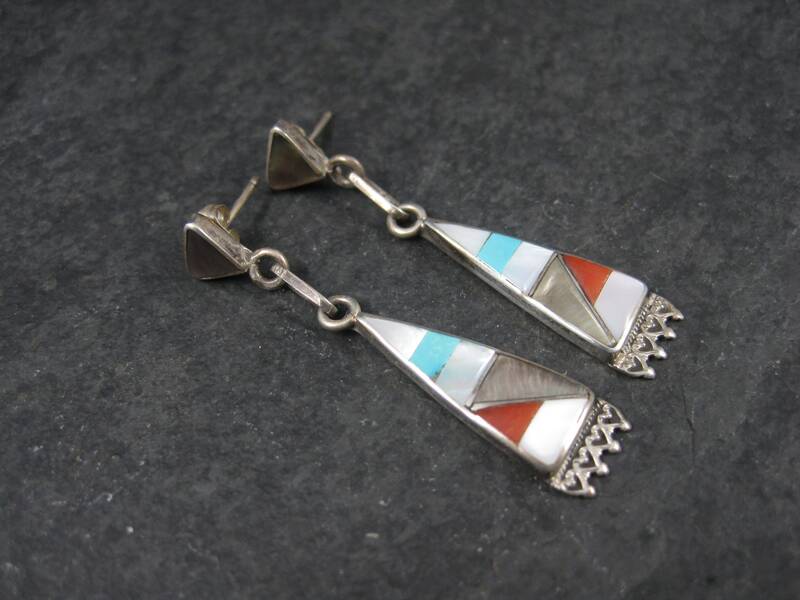 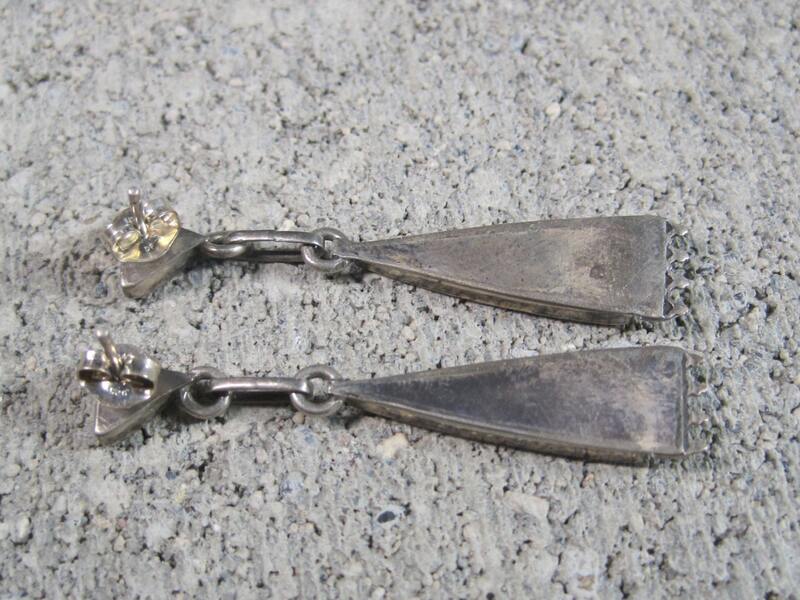 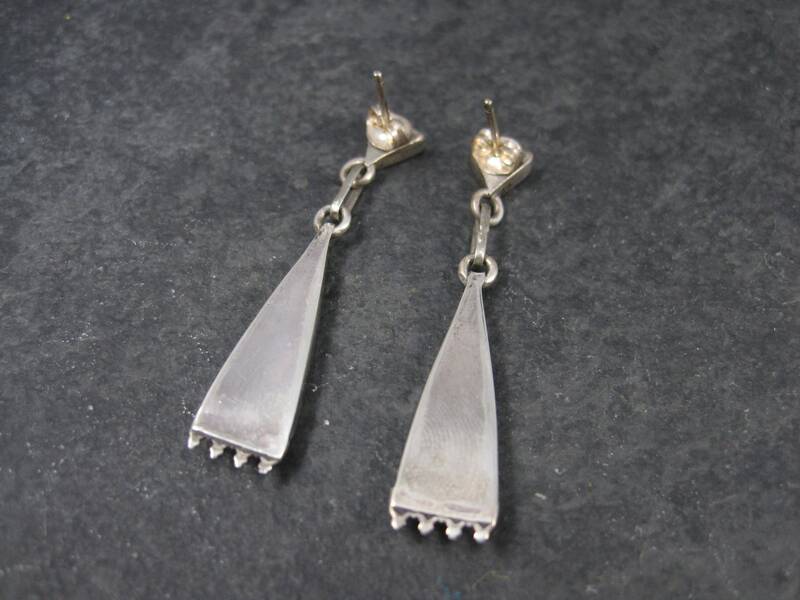 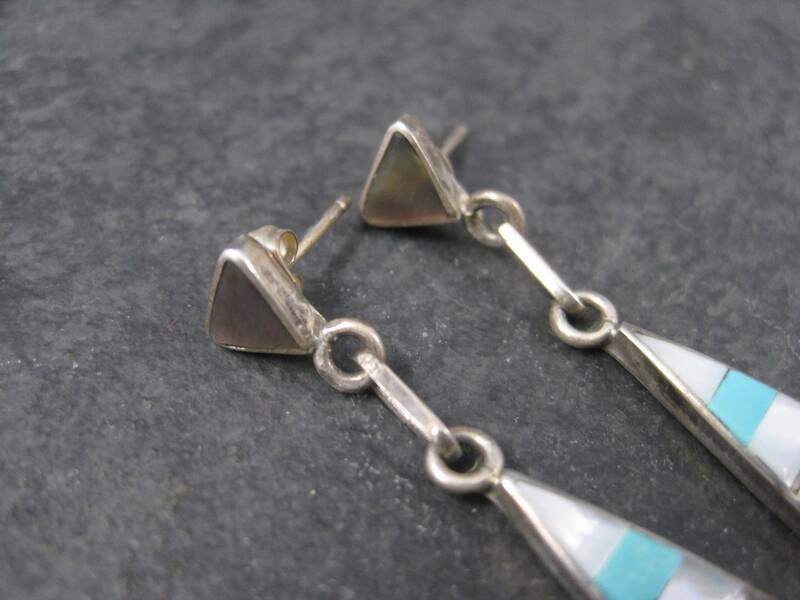 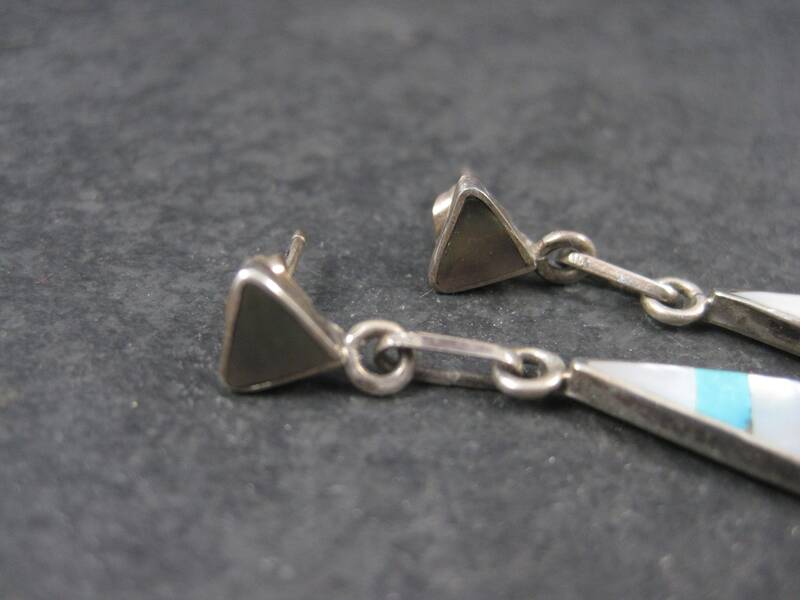 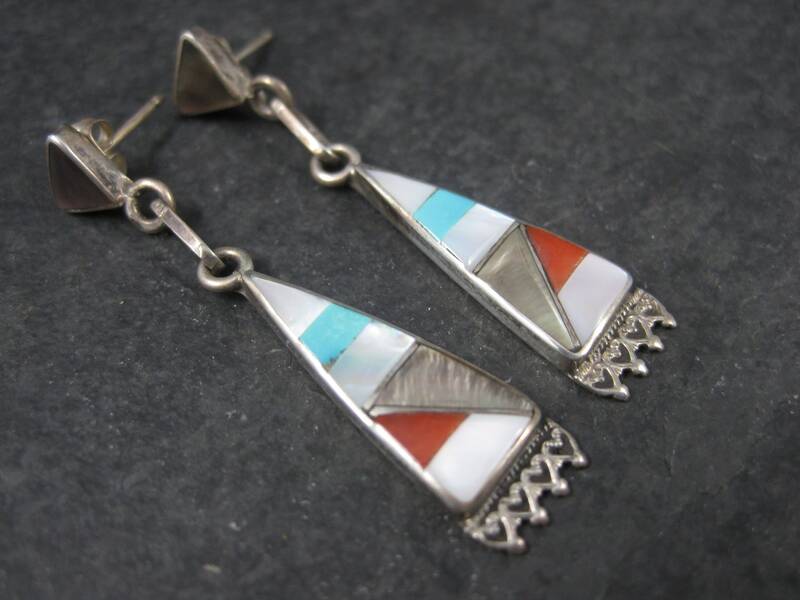 These gorgeous Native American earrings are sterling silver. 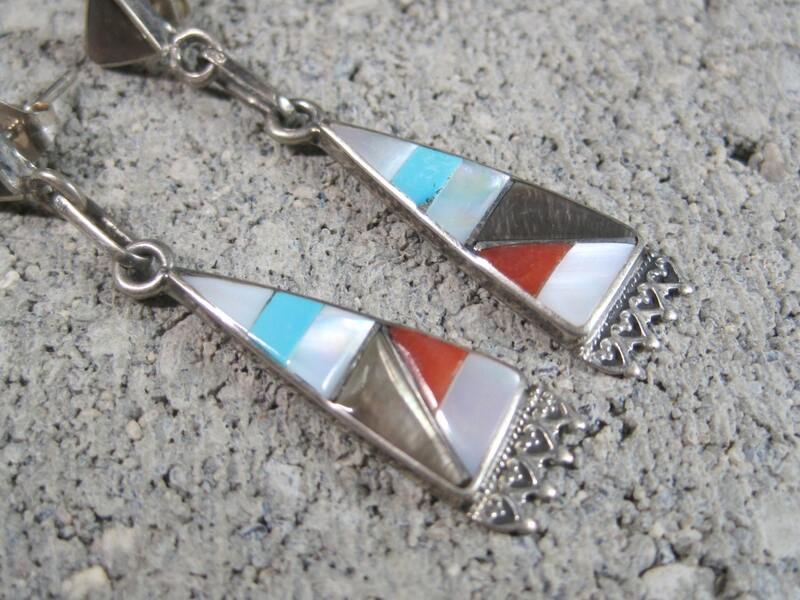 They feature inlay in mother of pearl, abalone, coral and turquoise. 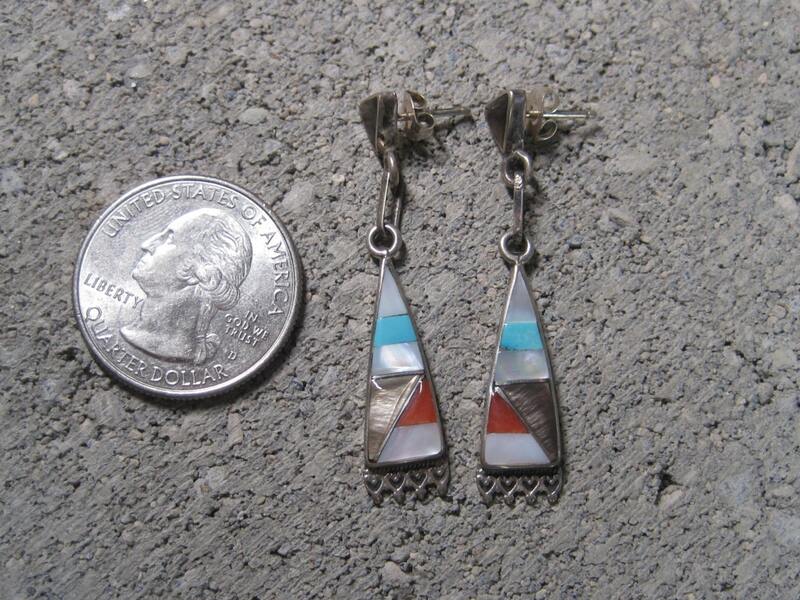 Measurements: 5/16 of an inch at their widest, 1 11/16 inches long.